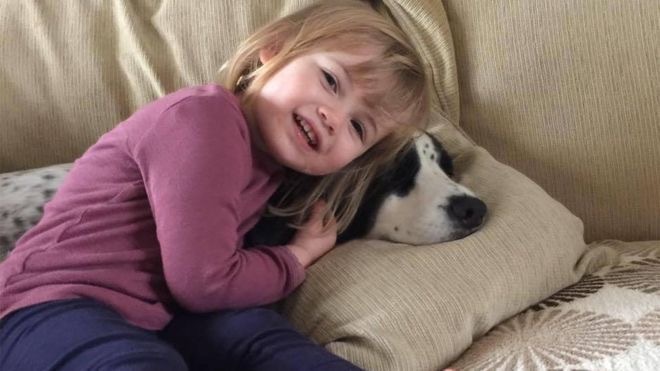 It’s been less than a week since courageous 2 year old Faye Burdett lost her fight against Meningitis B. At times it feels like a lifetime ago, at others it feels like it was just yesterday. It’s been six days. In those six days Faye’s story has been headline news across the country. The photographs shared by her equally courageous parents have been shocking and brought tears to many people’s eyes, and put Meningitis B firmly back in the public consciousness. The petition to the government to expand on the Meningitos B vaccination programme has attracted more than 600,000 signatures (and counting), making it the most signed government petition since the system was introduced. Despite her tragically short life, in the past six days Faye has touched more hearts and influenced more people than most adults can hope to achieve in their lifetime. That’s quite some legacy already. She’s quite right. The petition system is not and should not be a popularity contest. But parents have not been signing the petition because they wanted to knock the petition to keep Donald Trump out of Britain out of the top spot. They signed it out of one of the most powerful base human emotions – fear; for the most precious things known to them – their children. This fear is based in part on what Meningitis can do, brought starkly to life by Faye’s story. And based in part on how Meningitis strikes – its seemingly innocuous initial symptoms, easily confused with a host of common and usually harmless (if unpleasant) bugs and viruses. And fear also based in the speed at which Meningitis strikes and does its terrible damage. But this is nothing new. Meningitis has always been like this, even if it does sometimes take a story like Faye’s to remind us of that. The fear we as parents feel right now is particularly pertinent because of the context in which we operate. A context where our NHS is stretched, we are told, close to breaking point. Where Junior Doctors – those with whom we trust our lives and those of our children – tell us those lives will be put at risk by contractual changes being forced upon them. Where GP’s appointments sometimes feel like gold dust, walk in services are cut back, A&E departments are over capacity, and where we are told to “Google a rash” rather than put more unnecessary strain on an overburdened service. They’re right too, of course. The introduction of the Meningitis B vaccine to the immunisation programme is groundbreaking and should be applauded. Generations of children will have protection from this deadly disease, who would not otherwise have been protected. A variety of professionals have also said that we must wait to see the real world impact of the vaccine before we expand the immunisation programme. So why do we continue to campaign? Should we just accept that Faye’s story has succeeded in raising awareness of Meningitis? This is after all a great achievement in its own right. The problem is that we have a cohort of children who have been forgotten in this picture: at increased risk of meningitis by virtue of their age, but without the protection afforded to those children who come after them. How long will it take to gather the evidence of the vaccination’s effectiveness? By the time the evidence is in these children will be growing older and out of the high risk age bracket, whilst younger children will have been vaccinated at birth. Some, like Faye, will get Meningitis. Some will survive it unharmed. Some will have lifelong effects as a result of meningitis. Some, sadly, will die from Meningitis or associated septicemia. Not many, true, but too many for me to feel comfortable with when I know there is a vaccine there for them. This, in my mind, is what we are fighting for. This cohort of forgotten children. 1. The government tells us that the most at risk children are being protected by the immunisation programme. This is not true. The evidence as it has been widely reported shows us that children up to 1 year are most at risk of contracting Meningitis. Yet the immunisation programme launched on the 1st September 2015 only made the vaccine available to children born after 1st May 2015, who would have been aged up to 4 months. So that leaves children aged between 4 and 12 months on 1st September 2015, who we are told are at the highest risk of Meningitis, not receiving the vaccination that would protect them. This equates to over 500,000 children at high risk, who should have been protected but were not. In addition, although it is true that 0-1 year olds are the most at risk, 1-5 year olds remain at increased risk of Meningitis, around 4 times higher than the next age group. The JCVI report (the body who advise on what immunisation schemes should be run in the UK) did not actually look at the cost effectiveness of a catch up programme for this age group due to it already only being borderline cost effective for newborns. This is despite the fact that 1-5 year olds cost one third less to immunise, as they only require two doses of the Bexsero vaccine rather than three. 2. We are told that professional, independent advice is being followed. This is not true. The government green book on immunisation against infectious diseases says that it incorporates the advice for the JCVI on immunisation programmes including MenB immunisation. This document states that infants under the age of 12 months should receive 3 doses of the MenB vaccine at the appropriate intervals. But it also states that children aged between 1 and 2 years should receive 2 doses of the MenB vaccine. By my understanding, this is a government policy handbook which does not reflect what is being rolled out in the real world. There are approximately 775,000 children born each year in Great Britain. So that’s another 775,000 children aged between 1 and 2 years who should have been protected, but were not. 3. We are told that it is not affordable to vaccinate any children beyond the current programme. This is not true. In March 2014 JCVI recommended that the Meningitis B vaccine be included in routine immunisations. But the protracted negotiation period with Novartis in order to secure the Bexsero vaccine at an acceptable price resulted in 14 month’s worth of children, born after the recommendation was made but before immunisation began, not being protected from Meningitis B. To vaccinate these children does not actually reflect an increased cost burden on the NHS – after all, if a price had been agreed on day one of the negotiations then the NHS would have begun vaccinating those children, no questions asked. It is not the children’s fault that negotiations took so long, they are still at increased risk of Meningitis, and they should not suffer as a result. That’s over 900,000 children who should have been protected, but were not. It’s worth also noting that the JCVI report on the introduction of the MenB vaccine states that a 5-12 months cost benefit scenario (ie looking at whether it was cost effective to roll our a catch up programme for 5-12 month olds) was not recommended as ‘it had not been specifically considered in the cost-effectiveness analysis’. Not that it wasn’t cost effective, it had not even been considered. I can accept that it may not be cost effective to roll out the vaccine on the NHS to all children up to the age of 11, especially as the real world efficacy of the vaccine is yet to be proven. However I do believe the government has a duty to protect the public from profiteering private clinics, who not only charge 2-3 times more than the NHS list price, but have also been seen to increase their prices in the wake of the increased awareness. With reports of NHS GPs split over whether they are willing or even able to offer private prescriptions to parents wiling and able to pay, I believe the government should step in to help those parents who wish to have this vaccine for their children access it at a price that reflects the real cost of the vaccine. I’m not a medical expert. I’m not a statistician, a political advisor, an activist, a professional campaigner or a policy expert. Hell, I’m not even someone you would refer to as even remotely politically engaged, beyond a belief in the importance of always exercising my right to vote. I’m just a mum, with a child who sits within this cohort of forgotten children. This is what I see in the evidence that is available to me. And this is why I continue to support this campaign. I don’t know if policy will change as a result of this campaign, but I can hope that it will, with the support of all the other parents, grandparents, uncles, aunts, sisters, brothers and friends who have supported the campaign to date. Because I believe that children deserve the right to have access to the protection that science has developed for them, should they choose to receive it. Because I believe that right should not be based on those most able to afford inflated private clinic prices. And because I believe that Faye deserves this legacy.